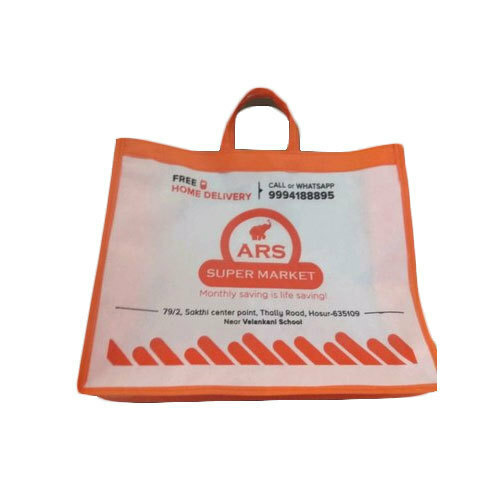 Our company holds immense experience in this domain and is involved in offering a wide assortment of Loop Handle Carry Bag. "Eco World" was incorporated in the year 2018, with a declaration to provide the precisely Manufacturing the products to clients. We are a Proprietorship owned entity which is performing its occupational activities in a proficient manner in the field of manufacturing.The products spectrum we offer to our customers includes Carry Bag, Non Woven Bag, Shopping Bag and many more. We are dedicated to constant improvement and up-gradation, which helps us to evolve in totally and assist to take our company on new heights.